Grab your bat and glove and get ready for some baseball! 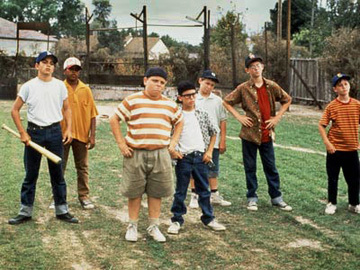 Meet the boys of the Sandlot along with newbie Scotty Smalls. Join Scotty as he discovers the true meaning of friendship, a Bambino and a killer gorilla dog. You may know how long for-eeever really is, but how well do you know The Sandlot?